Sales outlet for the Brico Dépôt home improvement chain opened at the end of October 2013 in Majadahonda near Madrid, Spain. Peikko’s Column Shoes and Anchor Bolts were used in the construction of the DIY chain’s newest store in the country. The new 12,500 square meters Brico Dépôt store in Majadahonda, a dormitory suburb of Madrid, was built by using Peikko’s column connection system. There were approximately 200 precast columns in the building all connected to the foundation and to in-situ walls using Peikko bolted system. Artepref’s order to Peikko consisted of approximately 1,000 units of different types of Column Shoes and matching Anchor Bolts. Artepref and Peikko have cooperated in Spain already for nearly a decade. 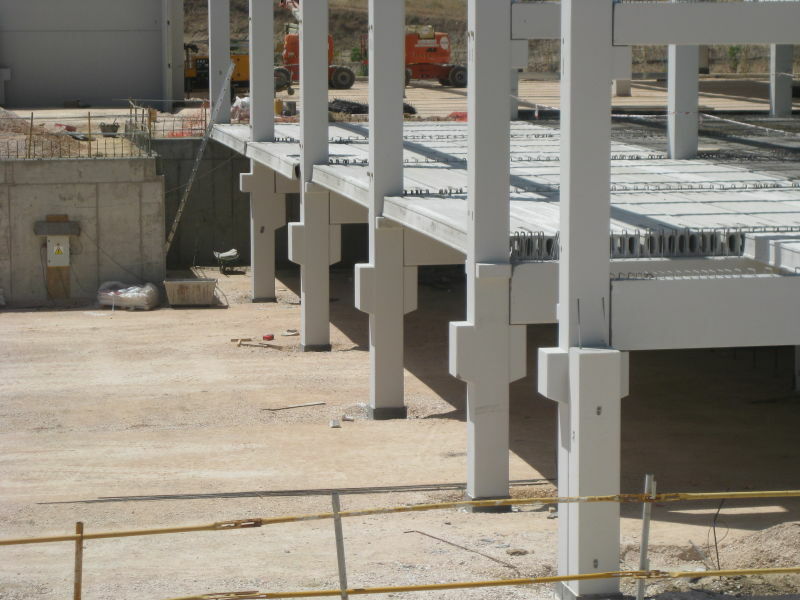 The previous project of the two firms was a data center building in Madrid where big precast columns where connected to the foundation using big column shoes. Artepref’s Managing Director Iñaki de la Calle said the firm has several reasons to be loyal to Peikko’s product line. 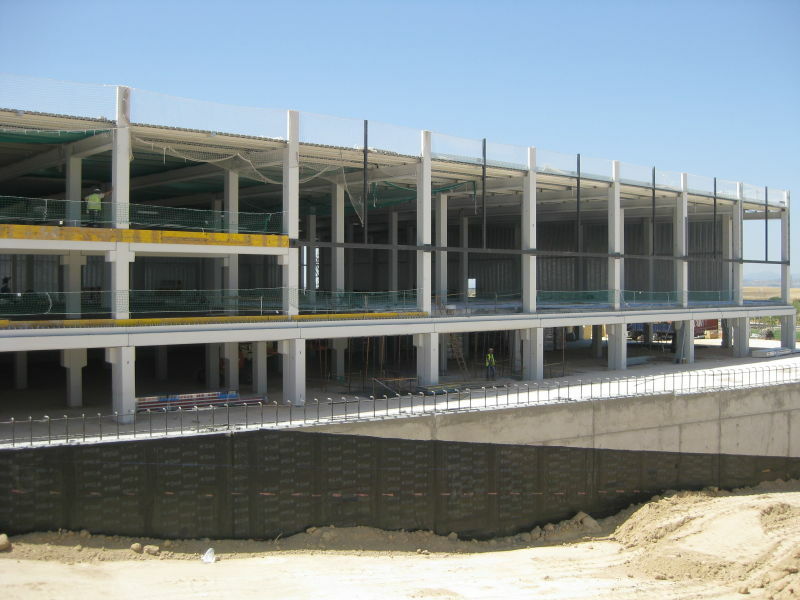 “We used Peikko’s column connection system in the new Brico Dépôt store in Madrid because compared to conservative socket foundations, Peikko’s products enable us to drastically reduce the thickness of the building’s foundation. 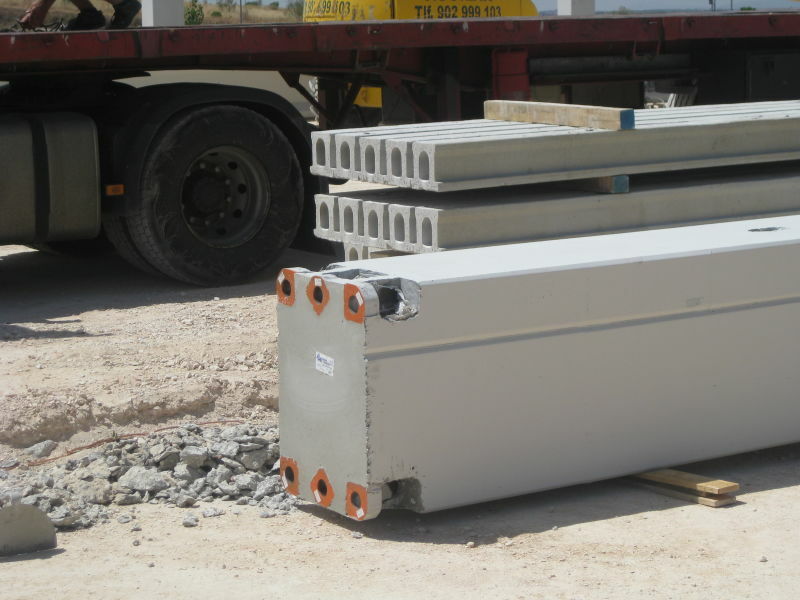 This means important savings in materials – from concrete to reinforcement and form work – as well as in working hours spent on excavation, concreting and auxiliary works. We prefer Peikko’s solutions because they save us money,” de la Calle explained. Artepref also appreciates the construction site safety Peikko’s products provide. “Peikko’s system offers total safety during the assembly of the columns because the connection becomes rigid as soon as nuts have been tightened. This means that it is not necessary to brace the structure during the assembly of the columns or during the process of grout mortar sets. We demand high quality and total safety from the systems we use. Peikko’s products fill these requirements,” de la Calle added. 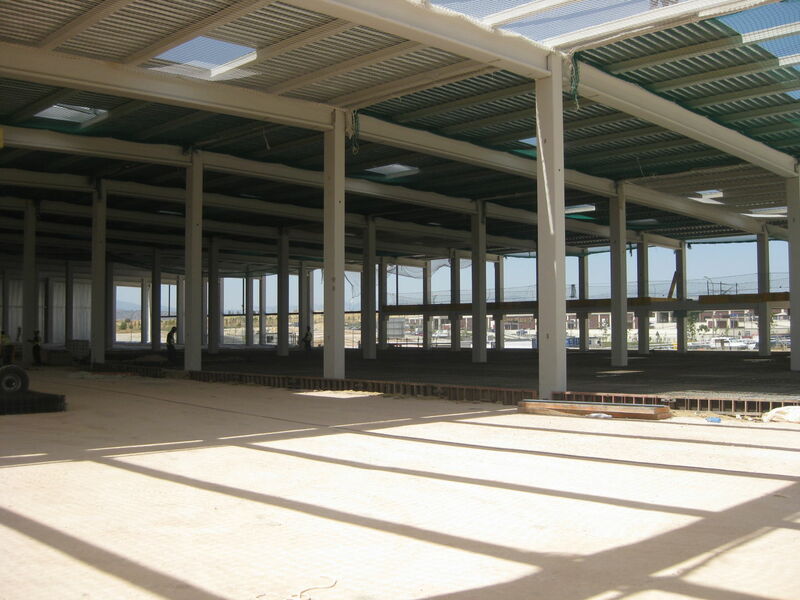 Construction of the new store started in May 2013, when Peikko’s products were delivered to the site and precaster firm Artepref built the structure of the store. 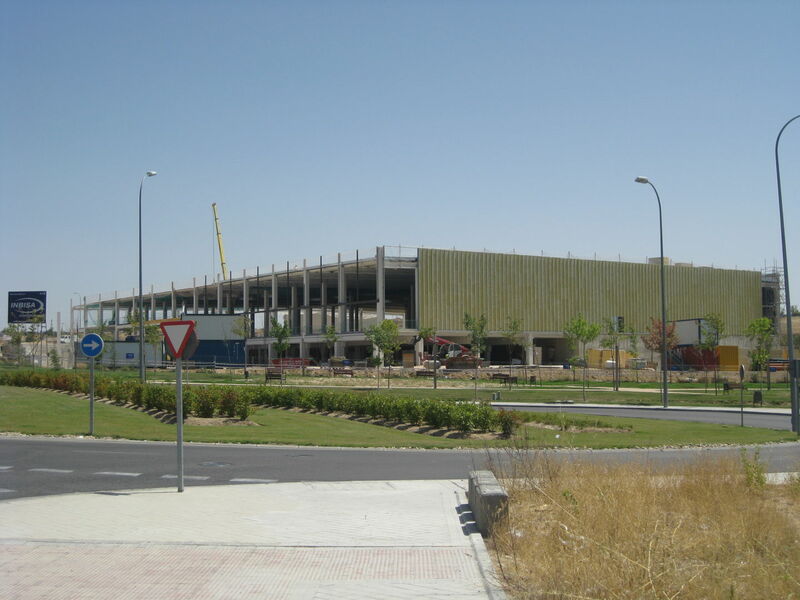 The structure was complete in July, after which assembly work took place. The structure of the building was completed in August and the store opened its doors to customers at the end of October 2013. 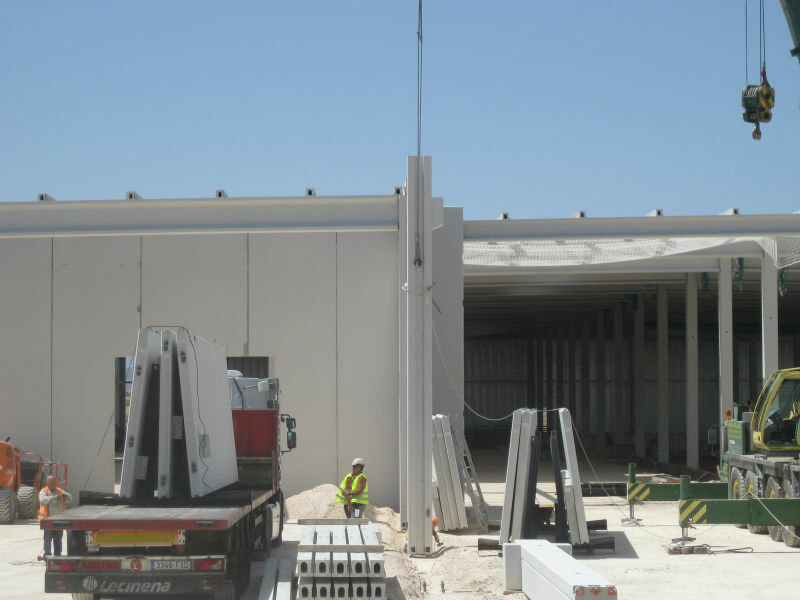 Juan Moreno, Technical Director at Artepref, noted that Peikko’s deliveries to the construction site arrived swiftly and the construction team was therefore able to keep up with its relatively tight schedule. Moreno also touched on the more technical aspects of Peikko’s products, and noted that using Peikko’s short bolt type /L makes positioning of bolts into the pile cap easy thanks to the use of the installation templates Peikko recommends. 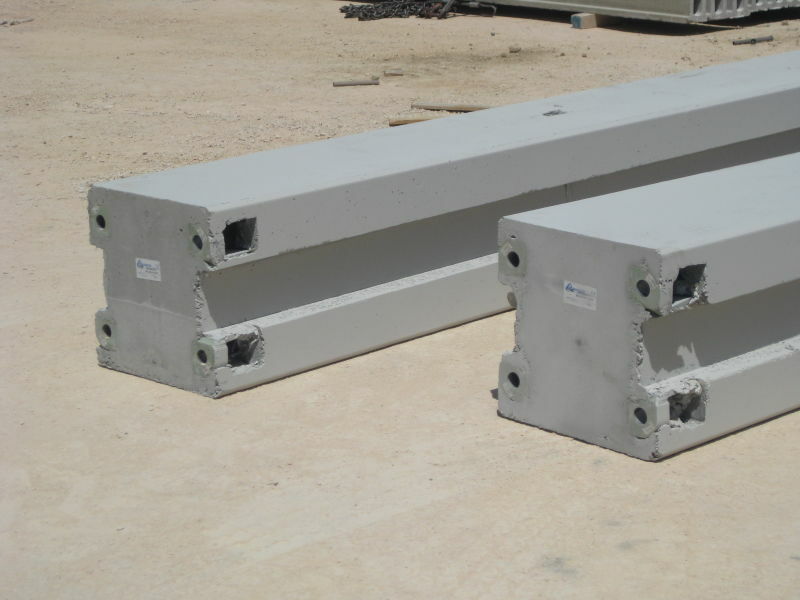 “In Peikko’s products, the interference between bolts and the reinforcement of the pile foundation, which is often very heavy in traditional connection systems for precast columns, is minimal,” Moreno said. “Connections between columns and in-situ wall also have many benefits compared to traditional systems: Peikko’s products are easier to install, no braces are needed, and overall, they are safer and faster to assemble. The whole structure is assembled smoothly and efficiently,” Moreno added. Enrique Hernández, Managing Director of Peikko Spain, said he is very satisfied with the project and the positive feedback Peikko has received from its customer. “We gave Artepref a great deal of support during the process and are proud to develop building methods which speed up the construction process and are extremely safe to assemble. Once connections are tightened the connection becomes completely safe,” Hernández said. Adrián Liste, Sales Engineer at Peikko Spain, said his team visited the construction site several times to support the constructor and precaster of the project. “We have been working with Artepref in Spain already for a long time. This project was yet again an excellent showcase how smooth cooperation can be when all parties share the same values, priorities and goals from safety to cost-effectiveness. We hope to continue cooperating with Artepref on several projects in the coming years,” he concluded.